High-tech real-life simulations are the cornerstone of the new $300 million Centre of Applied Technology at NAIT. 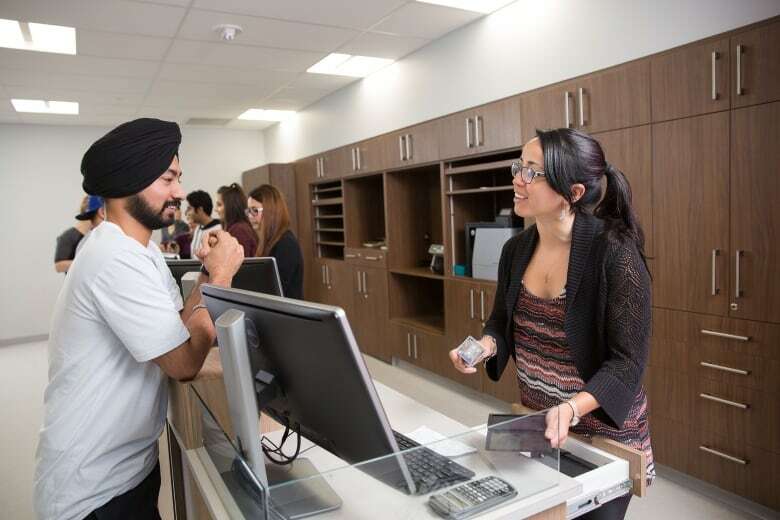 Stepping into the new training area for students in the Health and Life Sciences wing of the Northern Alberta Institute of Technology is like walking into a real hospital. 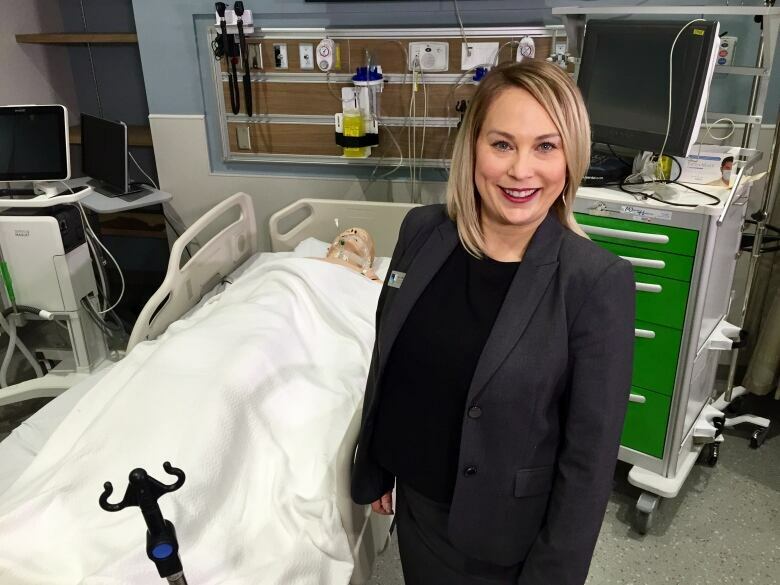 "We have multiple rooms which we call theatres which are set up as hospital-based rooms," says Kerri Oshust, director of the simulation centre. Even a waiting room has been recreated at the centre which will train future paramedics, respiratory therapists and x-ray technologists. "The students love it," Oshust said. "They love having the experience in a simulated setting which is less stressful before they go out to the clinical setting where they're working with patients." High-tech real-life simulations are the cornerstone of the new $300 million Centre for Applied Technology (CAT) at 11763 106 St. opened this fall. It was built to accommodate 5,000 full-time students in the School of Health and Life Sciences, the School of Applied Sciences and Technologies, and the JR Shaw School of Business. 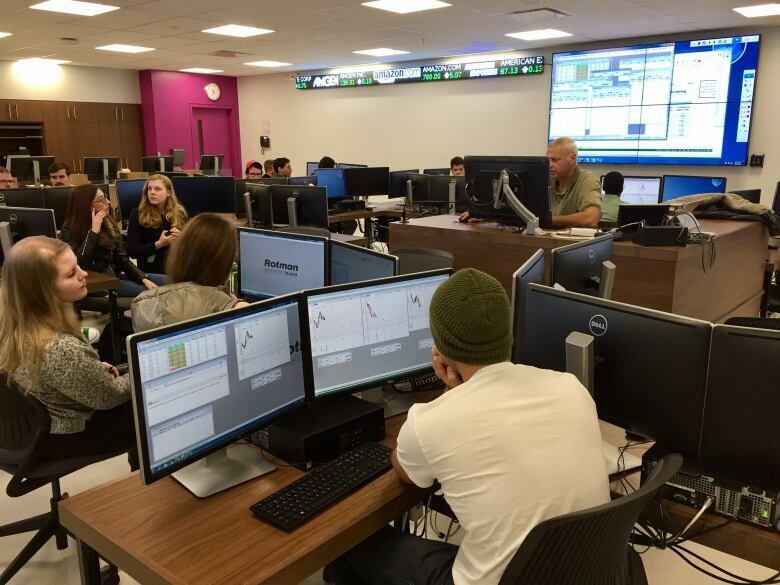 The business program contains a space simulating a bank and a trading floor. 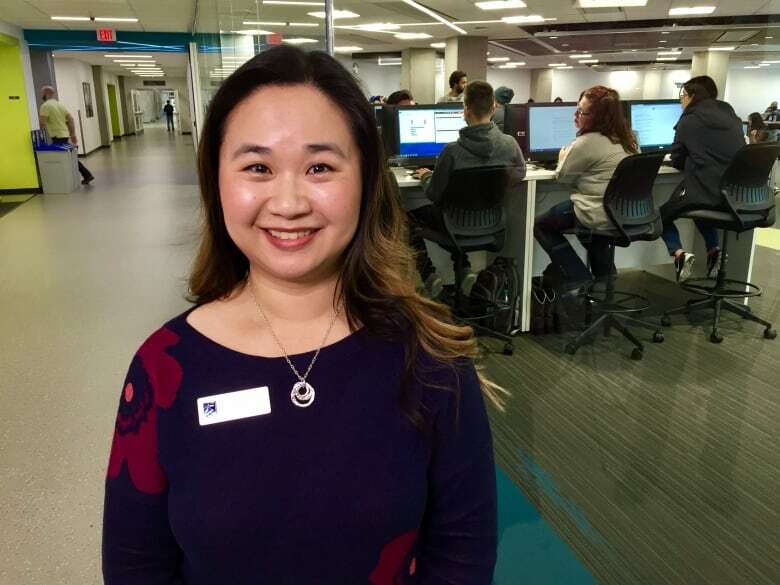 "With the financial services industry whether the economy is good or bad the services are still needed," said Rosanna Anderson, an instructor in the Applied Banking in Business Program. The centre is opening at time when education is in demand as the economy continues to sputter. "People are saying I can't get a job so I need to get more education," Anderson said. She says the business school has increased the number of spots in their program by 50 per cent this year. The health and life sciences program is getting 10 to 15 applicants for each available spot, Oshust said. Overall applications to credit programs in 2016 are up nearly five per cent from 2015 and up eight per cent from 2014, said provost Kevin Shufflebotham and he expects that trend to continue. "The demand for a NAIT education has never been stronger." You can see more from the new Centre for Applied Technology on Our Edmonton at 10 a.m. on Saturday and 11 a.m. on Sunday and Monday on CBC TV.